Red Dot Diva doubts that any of the guests who were at last Saturday's inaugural Filipino pop culture and art event Vinyl+Splash are actually "starving artists" (they do seem very successful in their own right after all!). But, one thing's for sure, they were united in their fight against hunger in the Philippines. 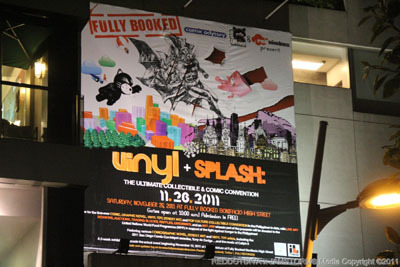 Through the series of events held at Fullybooked Bonifacio High Street Gates, Vinyl+Splash contributed a sizeable donation of 125,000 Pesos to the United Nations' World Food Programme! Country director of the UN World Food Programme Stephen Anderson, was on hand to receive the pledge from Jaime Daez Managing Director of Fullbooked, and mentioned how overwhelming it was to see the event bring the charity to reality. 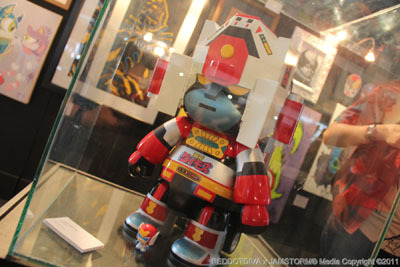 The event drew a large number of geeks, street art and pop-culture fans as they eagerly flocked into the smallish venue to meet some of Philippines more talented and internationally well-known artists like Leinil Yu, Gerry Alanguilan, Lan Medina, Harvey Tolibao, Mico Suayan, Stephen Segovia, Bong Dazo and Mark Torres. Vinyl+Splash also saw legendary "Jonah Hex" artist Tony de Zuniga gracing the event as a Special Guest, accompanied by his ever-gracious wife. 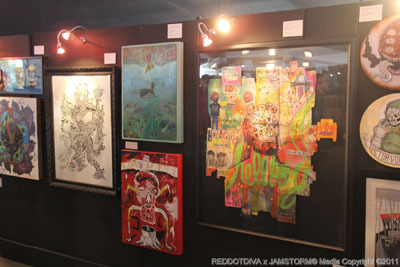 In addition to the various auctions and items offered on sale, a live Art Jam held that day also helped to raise funds for the event's assigned charity. 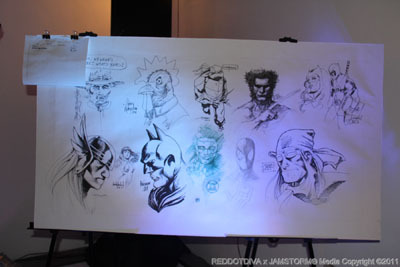 According to fellow Geekmatic blogger, Mark Cerbo, who was on site geeking out at Vinyl+Splash, "Tony DeZuniga the SDCC 2011 InkPot Awardee led the way with his first sketch is in what would be the biggest Art Jam that featured eleven other famous artists in Gerry Alanguilan, Mark Torres, Harvey Tolibao, Stephen Segovia, Mico Suayan, Ed Tadeo, Leinil Yu, Bong Dazo, Lui Antonio, and Lan Medina. 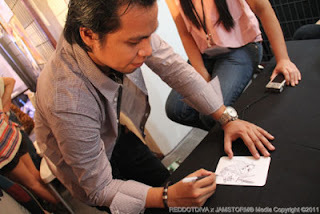 Jay Anacleto had his own work up on eBay and was present to grace this event." At his own booth, Harvey Tolibao did a live drawing of Psylocke on a huge 24 x 36 canvas - an art challenge which he named "Dare To Draw". 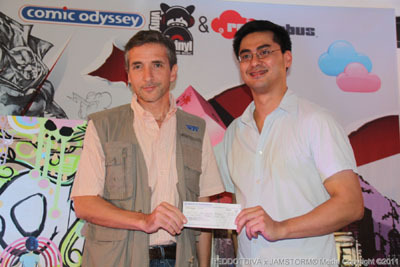 The final art piece was also auctioned off with 50% of the proceeds going to the World Food Programme! 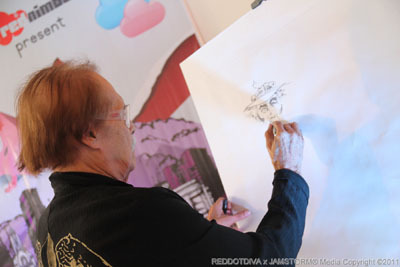 And Red Dot Diva noted that the artistic fun didn't just end with the comics side of things. Up and coming Filipino urban/ street artists were also present, showing off their individual and unique art style on vinyl toys, tee-shirts, mix-media collage-type art pieces, and even in the area of tattoo art. 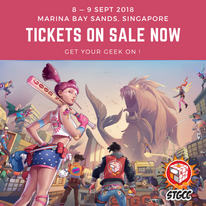 Folks should probably start to put a digital bookmark on urban artists like Sarah Gaughler, Bru Sim and Marcushiro Nada (the due rom graphic design Electrolychee), Gabby Tiongson, Brian Vallesteros and Nemo Aguila, and of course, the vinyl toy Rotobox is already a well-known household name. Although Red Dot Diva could not teleport herself to this year's Vinyl+Splash (where are those darn minions??! They are supposed to be building that teleporter! ), she sensed that those who were there last Saturday enjoyed themselves tremendously. And the good news is that, there will be a sequel to all this. Vinyl+Splash intends to be back again next year! Is anyone counting down yet? Check out Mark Cerbo's personal account of his day at Vinyl+Splash on his blog. And thanks to Mark Cerbo for all the lovely pics he took of the event. Do check out more of his Vinyl+Splash photos at the Red Dot Diva Facebook page! Comic Con in Manila - Vinyl+Splash and Charity! SDCC 2012 Pre-Registration - ID's and More ID's! LBCC 2011: Steve Niles Is One HOT Writer!